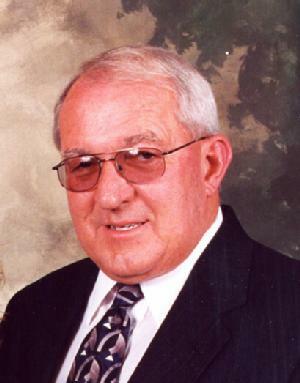 Charles has been a resident of Brown County for over sixty years and a licensed real estate professional for twenty years. In addition, he is a member of the Southern Ohio Association of Realtors and an active member of the Brown County Chamber of Commerce, Ohio Association of Realtors, and the National Association of Realtors. Charles has also notably achieved Ring Real Estate Salesman of the Year. 1996-2005" Ohio Association of Realtors President Sales Club. 1997 Southern Ohio Association of Realtors "Realtor of the Year". Member of the 2000 - 2017 Southern Ohio Association of Realtors Elite Club. Charles, with his wife Jill Richey Ring, founded Ring Real Estate and manages a team of realtors from the offices located at 410 W. Grant Avenue in Georgetown. The success of Charles and Ring Real Estate was built on a foundation of honesty, integrity, professionalism, and belief in giving clients professional service, treating clients as individuals and tailoring their services to meet client needs. Charles deals in a diversity of real estate that includes: Residential, Farm, Vacant Land, Commercial, Lots and Development. He eagerly welcomes clients who wish to list current property for sale, as well as those looking for an ideal home or farm. I have bought and sold several properties through Ring Real Estate, residential, commercial and vacant lots. They are trustworthy and honest. They stayed on top of each transaction and kept everyone informed to guarantee a smooth - quick closing. Highly recommend.